Chris and Sonja - The Sweet Seattle Life: Wine! And Fire! 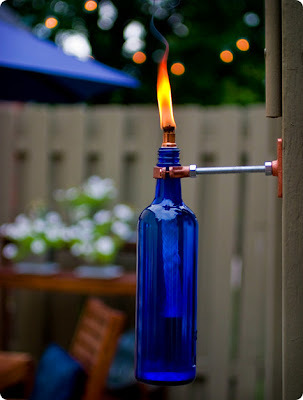 I am loving these wine bottle tiki torches over at Design Sponge this morning. I mean, really, a good excuse to drink wine, right? like that. so not kid or pet safe though!